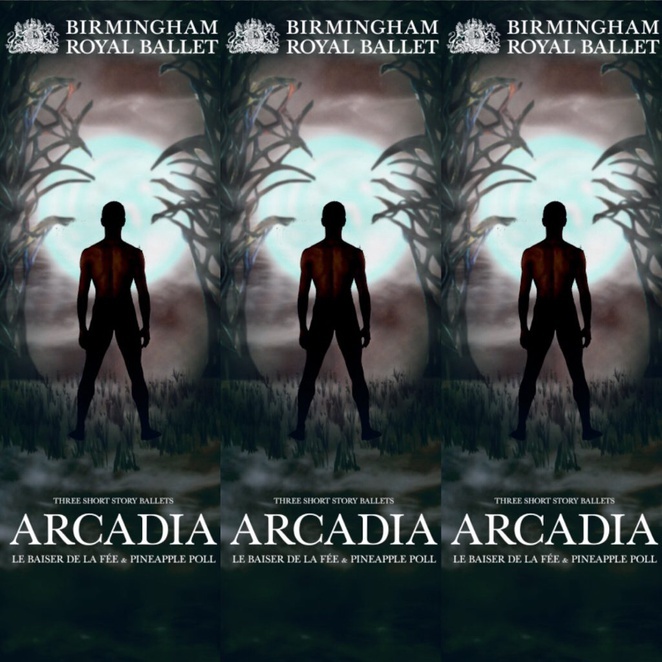 Bringing a mix of new and vintage dances together, this trio from Birmingham Royal Ballet (BRB) is an eclectic cavalcade to display its versatile talents. Opening the production was a world premiere of Ruth Brill's new contemporary piece Arcadia, followed by the 2008 production of Le Baiser de la fee. While capping it all off was the light-hearted Pineapple Poll, dating back to 1951. The trio, which is on at Birmingham Hippodrome from June 21 to 24, started off with the highly anticipated Arcadia. It's a striking, modern start to the evening, bubbling over with energy and movement. 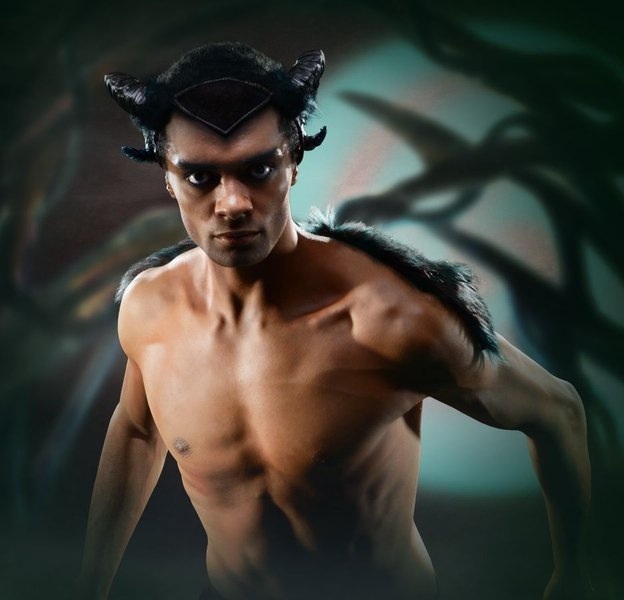 Choreographer Ruth Brill has created a routine based around Pan, the half man, half animal god of Arcadia. It's a sensual, vibrant piece of work that is set to an intoxicating, heady jazz soundtrack created by John Harle. If like me, you love the intensity of jazz music, you'll lap up the rhythmic fast-paced melodic notes put together by renowned saxophonist and Ivor Novelllo award-winning composer Harle. The simple and elegant set, which uses striking imagery including silhouettes of trees in front of a glowing full moon, moves between Pan frolicking with his devoted subjects and him learning how to respect them more after a sensual encounter with Moon Goddess Selene as night falls. The mesmerising Celine Gittens dances as Selene beautifully while Brandon Lawrence is a lithe animated dancer who seems to personify Pan. He gives an astonishing performance, polished and vivid. The whole production of Arcadia is atmospheric with a joyful energetic vibrancy. Next up is a much darker, moodier dance routine of Le Baiser de la fee. 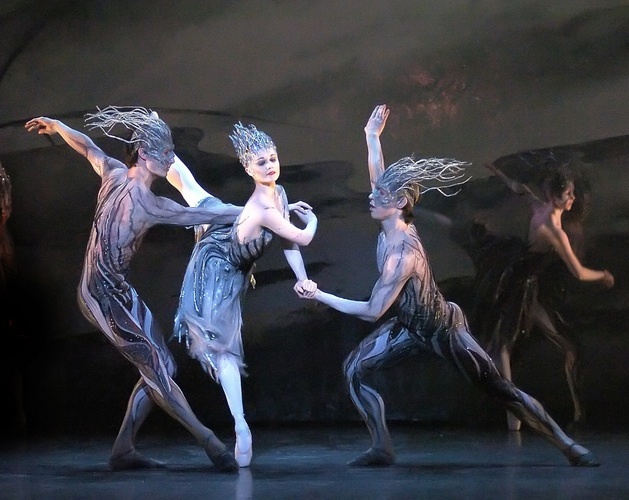 This production by BRB, choreographed by Michael Corder to the music of Igor Stravinsky, was first staged at Birmingham Hippodrome nine years ago. Although the ballet and music - based on Hans Christian Anderson's tale of The Ice Maiden - dates back to Paris in 1928. The ballet centres around a young man, who is torn between the passion and sexual desire for the Fairy and the more innocent, romantic love for his fiancée. There are sweepingly grand routines, visually and choreography-wise, with a chorus of menacing sprites. The set designs are also impressive but they were created by John F Macfarlane, the same designer behind those loved so much in BRB's The Nutcracker. Jenna Roberts gives a stately performance as The Fairy, matched well with an impressive Joseph Caley, who is leading many of the BRB productions at the moment including Coppelia. While talented Momoko Hirata is delightful as his fiancé. This is the heavyweight production of the trio and is a much more traditional ballet than Arcadia. Lightening the mood and helping to conclude the night in jest is the final routine - Pineapple Poll. Based on the Gilbert and Sullivan story, it is about of a gang of women who pretend to be a crew of sailors aboard HMS Hot Cross Bun to get close to the hunky captain. 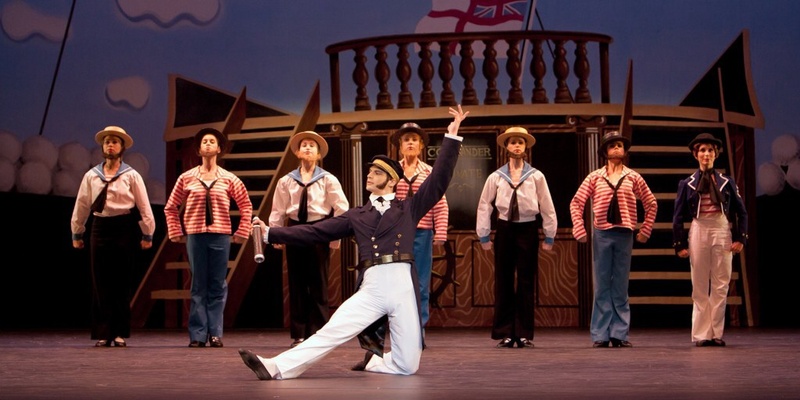 The choreography by John Cranko may date back to the 1950's but it has proved timeless for its fun nature that enhances the cavalcade of lovable characters and keeps the essence of Gilbert and Sullivan. Mathias Dingman's footwork is fast and flawless in his bold, endearing performance as Captain Belaye, while Nao Sakuma is given the opportunity to show her comedy side as the bumboat woman Pineapple Poll. Bright and breezy, it wraps up a diverse trio of delights from BRB, which continues to go from strength to strength with the ability to create new imaginative work.